The #1 best selling book in electronic binding for 1999 and 2000!!! Me, Jane...and you're out of your tree! When city born-and-bred Jane Sorenson agrees to journey to a remote cabin in the Adirondacks to finish her novel, she doesn't realize that the ape-man who crashes into her cabin will also demolish her belief that romance is dead. Hunter Graham isn't actually an ape-man. 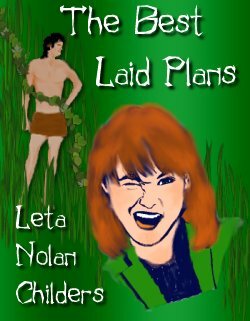 He is the son of Jane's publisher, Reginald Graham, who makes a bet with his father that he can live simply in the forest-with only a loincloth, a knife and his quick wits. a plan that, if successful, will bring the old gentleman exactly what he's dreamed about for years. especially when the ape-man and the city-girl decide to turn the tables on the cleverest of schemers.